Development and Marketing, Communications Manager, The Honeywell Foundation Inc.
WABASH — Season-series tickets for the 2015-2016 Wabash Valley Music Association are on-sale now and can be purchased by calling the Honeywell Center Box Office. But act fast — the series tickets still available are limited. Ticket prices for the series are $175, $140 and $75 depending on the seat locations. The presenting sponsor for the 2015-2016 WVMA series is Wellbrooke of Wabash. Season Supporters are Oxford Financial Group and Wabash Valley Abstract of Wabash. Mary Poppins, 7:30 p.m. Friday, Sept. 25, presented by the Wabash Area Community Theater. Don’t miss the popular musical that tells the tale of a mysterious and magical nanny as she transforms the lives of stuffy banker Mr. Banks and his two “impossible” children. Single tickets are $15 for adults; $10 for students. 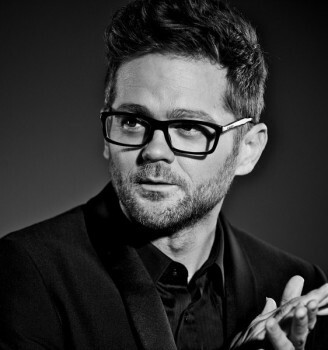 Josh Kaufman, 7:30 p.m. Friday, Oct. 2. As the winner of season 6 of NBC’s “The Voice,” Kaufman shows no signs of slowing down. With three top-10 singles on the U.S. iTunes charts and a successful run for his Broadway debut as the title character in the Tony Award-winning musical “Pippin,” Kaufman is building a loyal audience. In addition to his incredible singing voice Kaufman is also a masterful guitarist; his heartfelt original songs and soulful covers have captivated audiences worldwide. Single tickets are $$25, $35 and $45. Indianapolis Symphony Orchestra — Four Divas, 3 p.m. Sunday, Oct. 4. Is there room on stage for more than one diva? You’ll find out when Jack Everly and the Indianapolis Symphony Orchestra are joined by Broadway’s best leading ladies belting out songs from blockbuster hits “Les Miserables,” “Dreamgirls,” “My Fair Lady,” “Annie,” “Chicago” and much more. Single tickets are $25, $35 and $45. Joseph and the Amazing Technicolor Dreamcoat, 7:30 p.m. Friday, Jan. 8. One of the most enduring shows of all time, Tim Rice & Andrew Lloyd Webber’s Joseph and the Amazing Technicolor Dreamcoat is the irresistible family musical about the trials and triumphs of Joseph, Israel’s favorite son. Single tickets are $24, $38 and $54. Simply Sinatra, 7:30 p.m. Friday, Feb. 6. 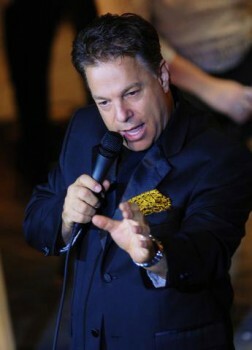 Simply Sinatra starring Steve Lippia has been thrilling sold-out audiences across North America. In this musical celebration, Lippia interprets some of the most beloved Sinatra hits including “I’ve Got You Under My Skin,” “The Lady is a Tramp,” “Summer Wind,” “My Way,” “You Make Me Feel So Young,” “The Best is Yet to Come,” “Luck Be a Lady,” and “Come Fly with Me.” Single tickets are $25, $35 and $45. RAIN: A Tribute to the Beatles, 7:30 p.m. Saturday, April 30. RAIN is a live multi-media spectacular that takes you on a musical journey through the life and times of the world’s most celebrated band. Featuring new songs and high def imagery, RAIN presents Beatles classics such as “I Want To Hold Your Hand,” “Hard Day’s Night,” “Sgt. Pepper’s Lonely Hearts Club Band,” “Come Together” and “Hey Jude.” Single tickets are $24, $38 and $54. Sylvia McNair, 7:30 p.m. Friday, May 20. Two-time Grammy and regional Emmy winner Sylvia McNair lays claim to a 25-year-career in the realms of opera, oratorio, cabaret and musical theater. Her journey has taken her from the Metropolitan Opera to the Salzburg Festival, from the Rainbow Room to the New York Philharmonic, and from the Ravinia Festival to The Plaza! Single tickets are $25, $35 and $45. Single show tickets may also be purchased beginning Aug. 25, at the Honeywell Center box office from 8 a.m. to 5 p.m. Monday through Friday, by calling (260) 563-1102 or visiting www.honeywellcenter.org.